Whizzing, spinning and racing your kids on a sledge to the bottom of a snowy slope is a tried and tested way of ensuring family fun in a ski resort. That said, with all the holiday time spent on ski lessons, visiting many of the restaurants and other tourist sites it can be easy to miss out on the fun sledging can bring your family. To be sure you and your nearest and dearest are guaranteed snow sliding fun on a sledge, toboggan, or snow tube take note of our top sledging tips for families skiing in Valais. The family ski resort of Aletsch Arena knows sledging can promise a great time for young and old. With the perfect facilities for sledging fans, including a gentle family piste, night sledging and fondue and a 13km sledging adventure from Fiescheralp to Lax, sledging is a holiday must in Aletsch Arena. 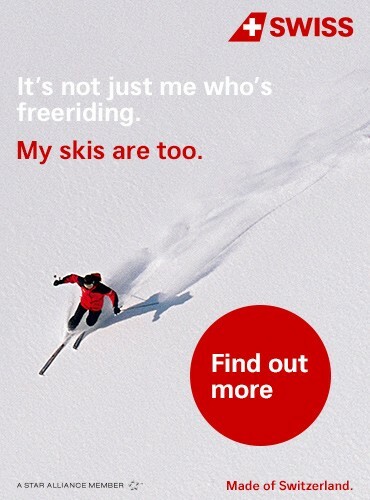 Top sledging tip; sledges can be hired in Aletsch Arena if you have not brought your own. Simply visit one of the sports shops in the region; they provide a sledge hire service. 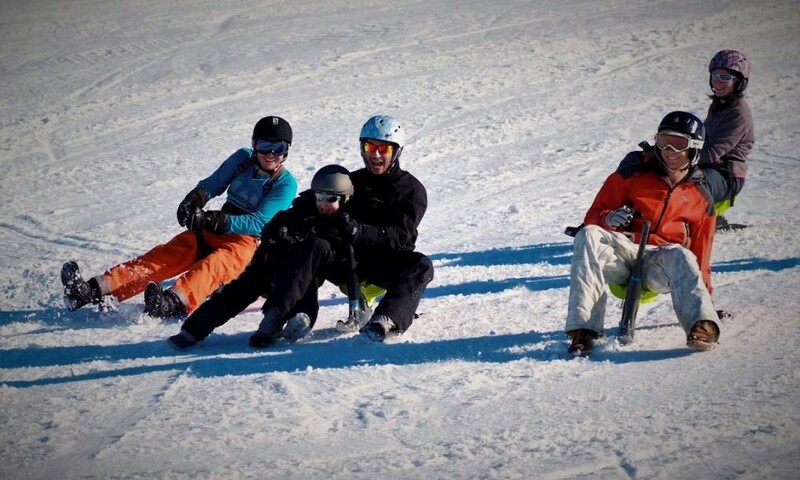 But the family fun off your skis doesn’t have to end with sledging! In Aletsch Arena, families can try their hand at ice skating on the beautiful natural ice rink near Sportzentrum Bachtla sports centre in Bettmeralp. Or alternatively, snowtubing and night skiing under slope floodlights can be popular ways of adding something extra special to your family fun experience in a Valais ski resort. Nendaz invites guests to become king of the sledge on their sledging strip in Tortin! Here, Nendaz offers a 3km long sledging run which guarantees fun for the whole family. With sledges available to hire in the local sports shops and the chairlift of Tortin on hand to take adults and juniors to the top of the run from just CHF 7.00, this is a must-try family skiing holiday experience. Families who are looking for a little less adrenalin during their family fun off the piste, can make the most of winter walking on 100km of winter walks in Nendaz, five of which are accessible with pushchairs. Children and their parents can also discover Nendaz and its surroundings in a fun way with a treasure hunt. Several hunts are offered per season, which include walking for between one and two hours, and at the end of the hunt, every child receives a small present. A unique sledging opportunity in Région Dents Du Midi, Yooner sledging is making waves with adults and kids. Guests of all ages are loving this fun new activity and following it up with adelicious fondue dinner on one of the ski resorts organised Yooner and fondue nights. A Yooner sledge has a raised bucket seat, mounted with a shock absorber on a ski. Seated comfortably 20cm off the snow in this light and incredibly user-friendly sledge, adults and kids alike will be carving like pros in minutes! Yooner sledge nights take place on Wednesdays and Saturdays during the night skiing sessions. Guests can treat themselves to an hour and a half of fun with an instructor, then sit down for a delicious cheese fondue at the Le Gueuhlli restaurant. Families looking to try a snow load of adventures alongside sledging should also consider taking on the slopes at night, not only for Yooner sledging, but also for night skiing, a magical way to experience the mountains after hours. Also in Région Dents Du Midi, guests can explore the spectacular winter landscape with an evening snowshoe hike followed by a delicious, traditional Swiss fondue. This winter, Thyon 4 Valleys is bringing a new activity to the Swiss slopes; Snake Gliss, a modular system of articulated sledges. Great for families with children aged 10 years and over, the Snake Gliss links three to fifteen people on sledges in a snake like fashion and allows them to sledge together down the slopes once the ski area is closed. It’s an exciting and adrenalin packed experience that will have participants laughing together throughout and afterwards. If the Snake Gliss sounds a little too daring for your family, dive into the fascinating world of the Vikings at Thyon’s Ice Cave or visit Thyon’s ‘children’s paradise’, the Kids Fun Area. Which allows youngsters to learn how to ski on the “Mini-glisse” carpet and ski area for beginners, play in the snow with a snowball wall and giant puzzle, and take on an adventure with a snow trail made up of foam parts. In Veysonnaz ski resort a new fun sledging and sliding area in the heights of Veysonnaz, provides lighting in the evening between 5pm and 9pm. Alternatively, Veysonnaz’s snowtubing facilities prove popular with families looking for additional activities they can enjoy together in a ski resort. Families can relish a snowtubing descent on the sunny area at the top of Veysonnaz slopes. The area, bathed with sun, is perfect for families and beginners. This activity is reachable for pedestrians directly from Veysonnaz via the cable car in just eight minutes. And for a quieter family experience, which allows for taking in the mountain views, natural surroundings and breathing in fresh cold air, Veysonnaz offers a choice of winter walks for various levels. With your family and children, you can enjoy an 8km roundtrip in a preserved nature area along the Ancien Bisse de Chervey at an altitude of 2000m or an easier quite flat walk on a large snowpath, of 4km with immense views of the valley.